There are no rules for this bento, just get lettuce and any vegetable or fruit you like and just mix it together. 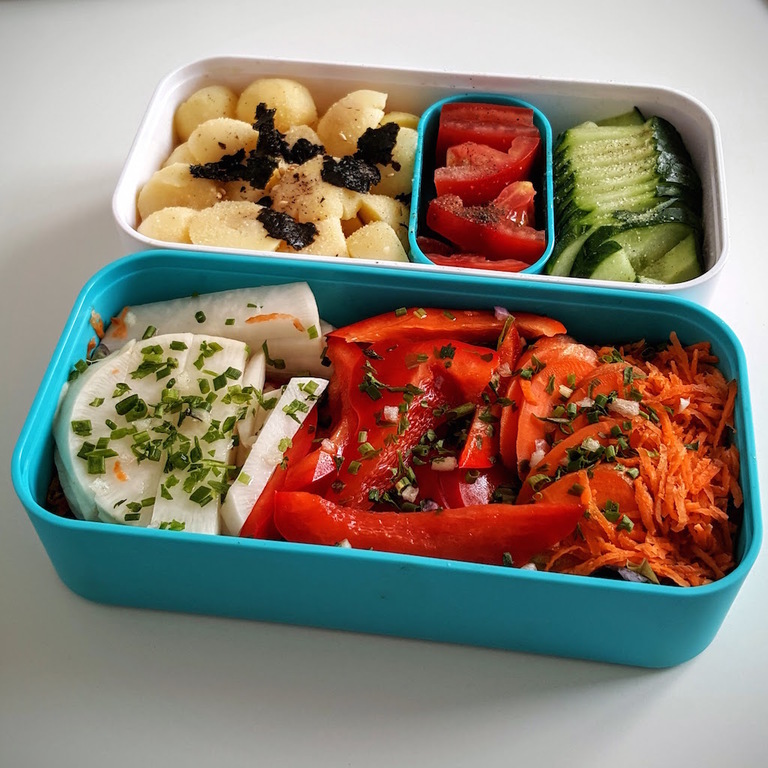 My bento ended up being a mix of: lettuce, potatoes, tomatoes, cucumbers, daikon radish, carrot and red peppers sliced, diced and separated into bite-sized pieces. Slice, dice or grate all the ingredients you like (just remember that they need to be dry and cool when you close the bento container). Sprinkle with self-made furikake or with salad herbs, salt and pepper. Enjoy!